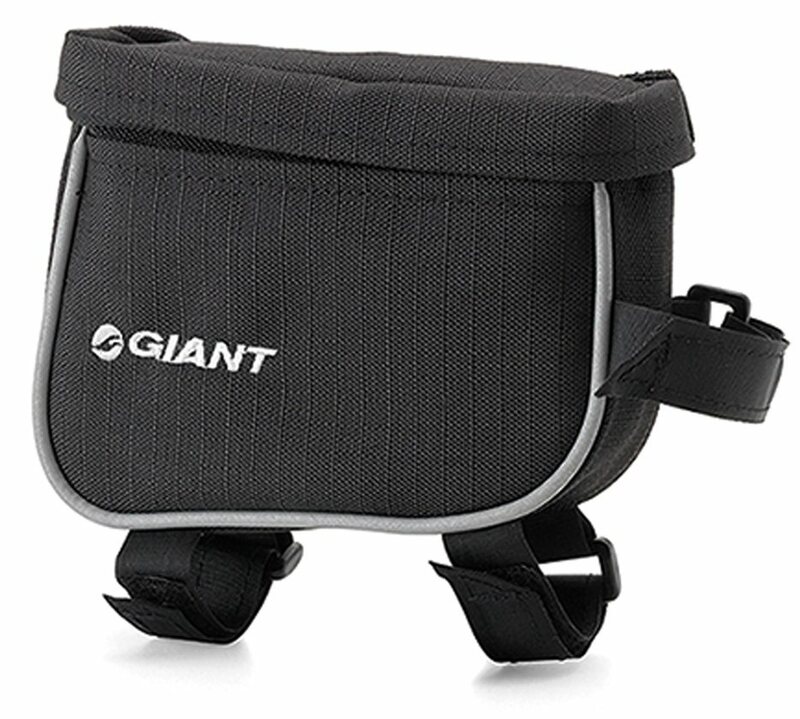 Give your jersey pockets a rest with the Giant ToGo Single bag. Keep all your riding essentials in this compact top-tube mounted, weather resistant, single compartment bag! There's plenty of room for a spare tube, a couple tools, and almost anything else you'd need to bring with you on your rides. This is a simple bag, nothing fancy. Perfect for your phone or keys, but I was disappointed when I used it on a rainy day. Luckily I put my phone in a plastic bag.